Coldspring Mill Ltd01535 275646work Shop - OutdoorColdspring Mill is a retail destination selling outdoor clothing and equipment and knitting yarn. The shop is in a restored soap mill near Haworth. One floor is full of outdoor clothing and equipment. There is everything you need for enjoying outdoor activities such as walking, camping, fishing, skiing or whatever else you are into. Products stocked include waterproofs, fleeces, boots, and rucksacks. With over 2000 square foot and over 2000 different products there should be something for everyone. Brands stocked include Sprayway, Regatta, Jack Wolfskin, Craghoppers, Weird Fish, Hi-Tec and many more. The other floor is packed from floor to ceiling with knitting yarns, patterns and needles etc. With over 2000 different yarns in stock it is a true knitter’s paradise. Brands stocked include Sirdar, King Cole, Debbie Bliss, James C. Brett, Stylecraft and lots more. New patterns are constantly arriving along with the latest yarns of the season. We have started holding regular knitting workshops so whether you are an expert knitter or a complete beginner a visit to us is a must. 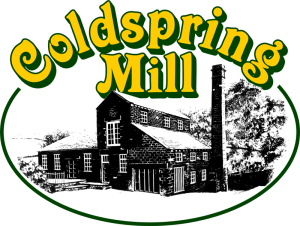 Coldspring Mill is a retail destination selling outdoor clothing and equipment and knitting yarn. After all that shopping take a break in our cafe. Serving drinks, light meals and delicious homemade cakes all at very reasonable prices with lovely country views.